Field marketing aims to better promote brands in stores and also to make sure that customers have a positive brand experience. Easier said than done, right? For CPG and FMCG companies, field marketing can become a nightmare simply due to the army of people needed to implement effective point-of-sale strategies. A field marketing software can make help brand and marketing managers make sure that their retail plans are correctly implemented. With a field marketing software, there can be significant improvements not only on field marketing operations management, but also on the accuracy of data collected and in planogram consistency. A field marketing software allows access to planogram schematics for each point-of-sale on the rep's smartphone or tablet and also captures store photos. This clearer communication along with stricter supervision turns into a higher level of planogram compliance and brand consistency. With field marketing software such as VisitBasis, it is easy to customize forms and surveys to gather precise information from customers in order to tweak promotions and products. By collecting the data in the field rep's mobile device and automatically sending it to a cloud server, field marketing software allows companies to skip the dreaded paper collection and transcription process and streamline data capture and analysis. 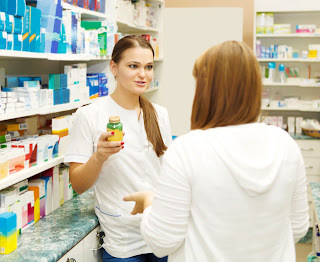 Field reps who interact with store managers have the ability to influence which products are carried at a certain store, as well as where they are carried, hopefully ensuring prime placement. A field marketing software gives reps easy access to sales collaterals and product information along with the ability to place orders, all in their mobile devices. See how VisitBasis field marketing software can boost your retail sales - sign up today for a free trial!